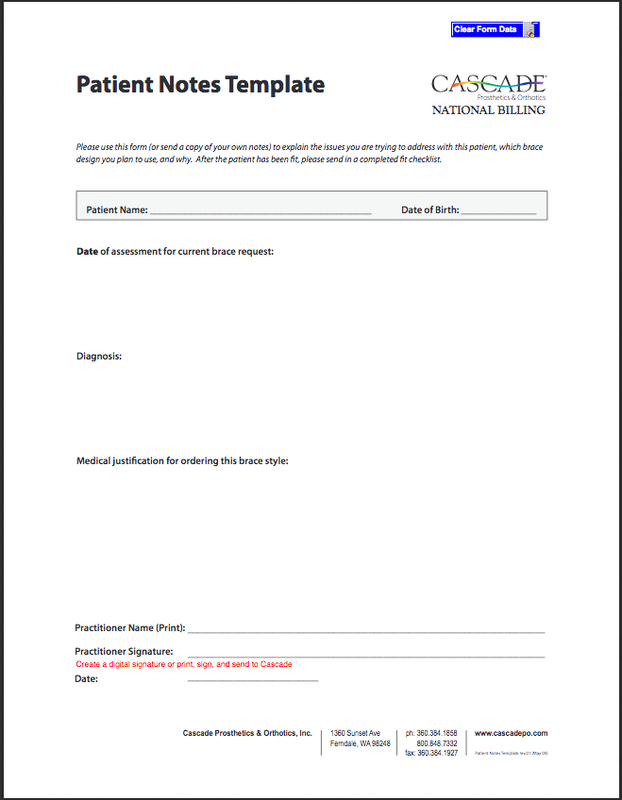 If you are unable to obtain a Letter of Medical Necessity, please send a copy of the patient notes. 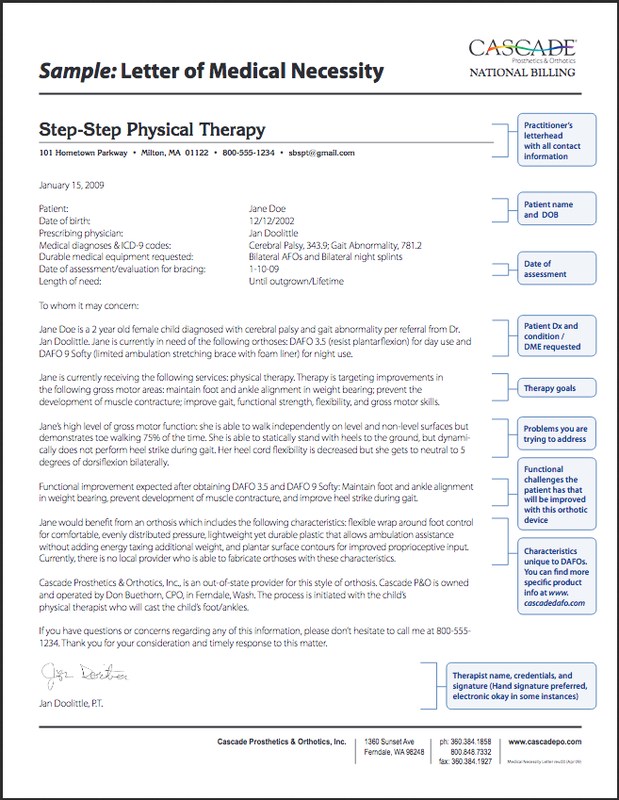 Note— It is useful to include specific technical information about the orthosis. You can find this information at cascadedafo.com under the Products topic. To find the specific orthosis, scroll down.